Happy hump day, dear readers! I hope you've been having a great week! It's been pretty uneventful this far, and I am really looking forward to a me-only staycation later this week! As much as I love being a wife and mom, I am in need of a break away from the chaos. It's still going to be business as usual- go to work and then work on blog content later, but with the bonus of extra quiet and personal space. My kids are the best snugglers, and while I do enjoy it most of the time, I'm feeling more than little touched out and could use a little reset. It will also help get me in a good mental state to handle solo parenting when the hubby leaves town for a conference next week. I'm hoping to keep up with the posting while he's away, but I'm sure if would help immensely if I could stop yammering away, right? I'm going to follow that advice now, quit the chatter and jump in on today's post. Let's do this! I wanted to do something a little different for today's blog post, but since it still falls in the realm of "beauty", I thought it might be helpful for you, dear readers! 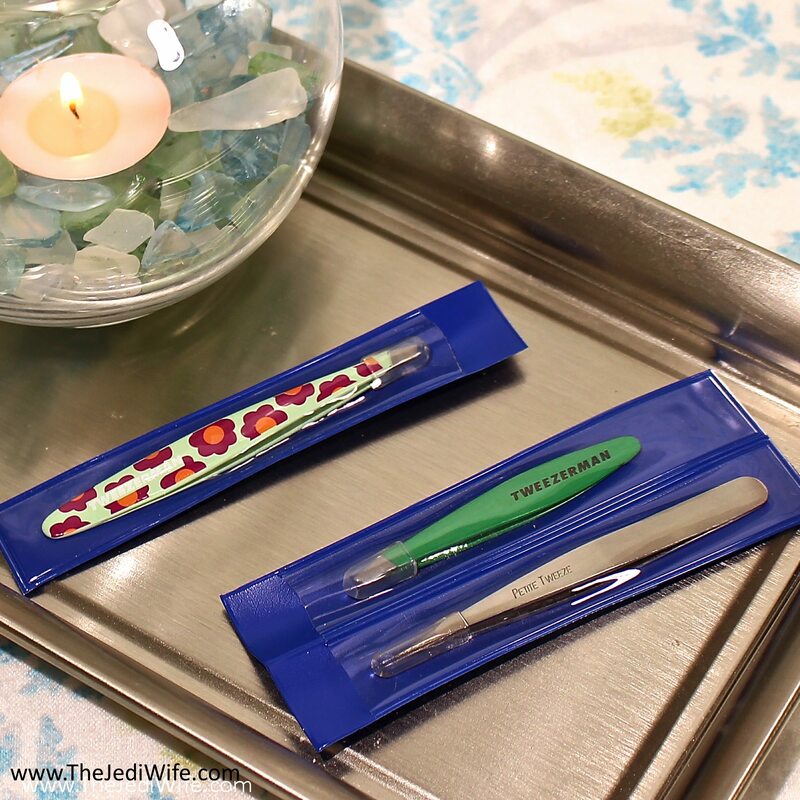 A necessary beauty item for everyone is a good pair of tweezers, and I've been using the Tweezerman brand for years. The brand is well known for high quality products, particularly when it comes to tweezers. They are a little spendier than some other brands at the drugstore or your local Target stores, but with their unparalleled accuracy and precision, it's no wonder why the brand has so many beauty awards throughout the years. 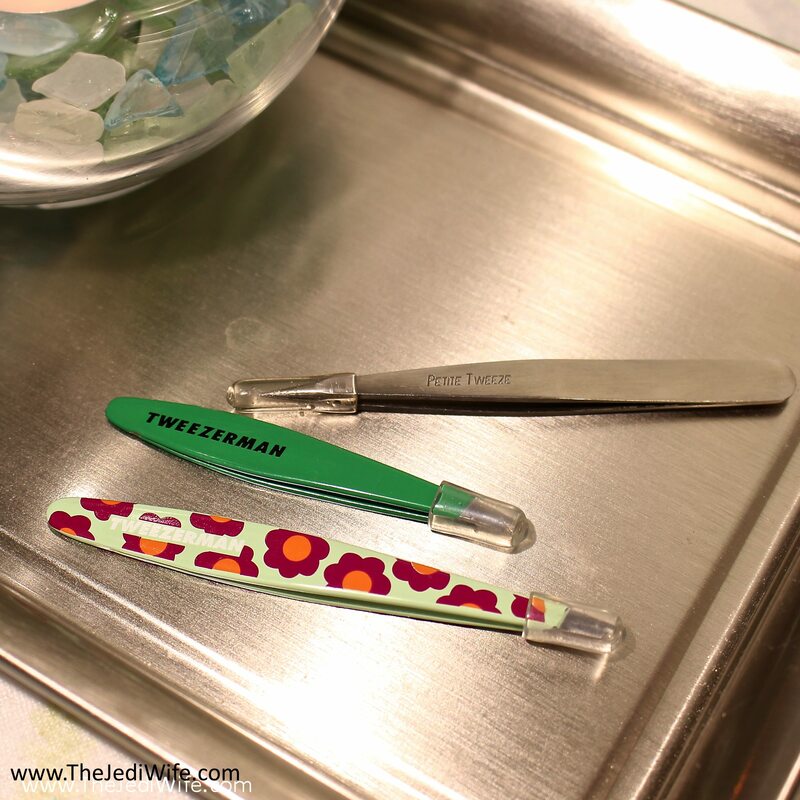 One of the key differences between Tweezerman and other brands is that Tweezerman offers free sharpening on their tweezers, nippers, and scissors. How awesome is that! In truth, I have never used this service before in spite of using Tweezerman tweezers for at least 15 years now. I have always meant to do it, but my tweezers would always end up mangled beyond recognition, and therefore unable to actually be sharpened. I've found numerous tweezers in the garage, and there has been blood a stern talking to on a few occasions. I've had some just disappear into oblivion, never to be seen again. Up until now, I have just sucked it up and gone out and bought yet another pair. It's great for Tweezerman, and since it only happens once a year or so, not that big of an investment on my part. That being said, I was determined that my relationship with my tweezers needed to change. Once I started added in tweezers in vibrant colours and patterns, I knew I had to keep them under lock and key take care of them if I wanted to enjoy them long term. I suppose I can now call myself a grown-up, dear readers, because I have finally done it! Originally I had no plans to write a blog post about the experience, but if you've been thinking about picking up the brand to try yourself or have been toying about sending in a pair of tweezers or other implements to get sharpened yourself, maybe this post will convince you. 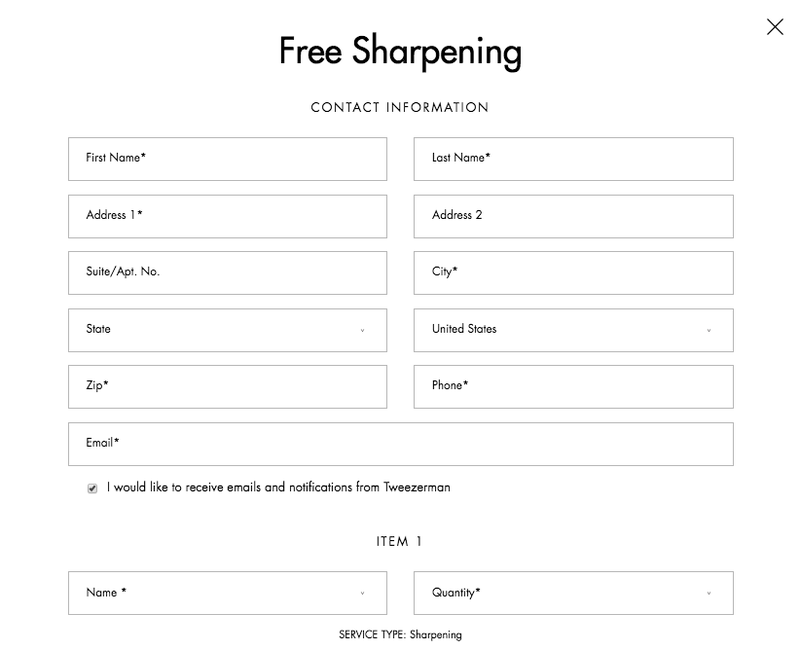 The first step to sharpening your Tweezerman devices is to visit the "Free Sharpening"page on their website and filling out the form. You start out with providing your shipping and contact information. 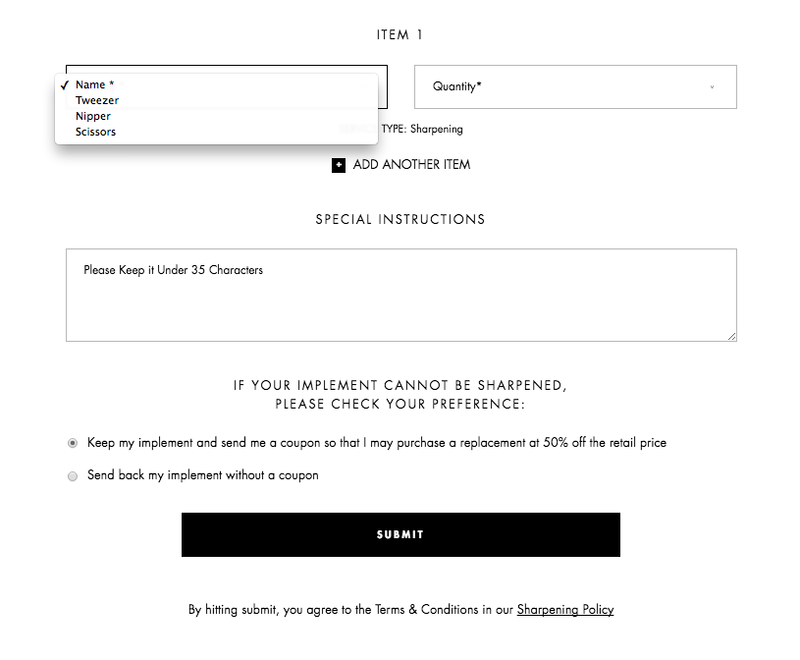 Here you can also elect to receive emails and notifications from the brand. This is for all the "other" emails, so if you choose to not sign up for alerts from the brand, they will still send you email updates about the status of your sharpening event. The form continues as you select the nature of the tools that need sharpening and the quantity. 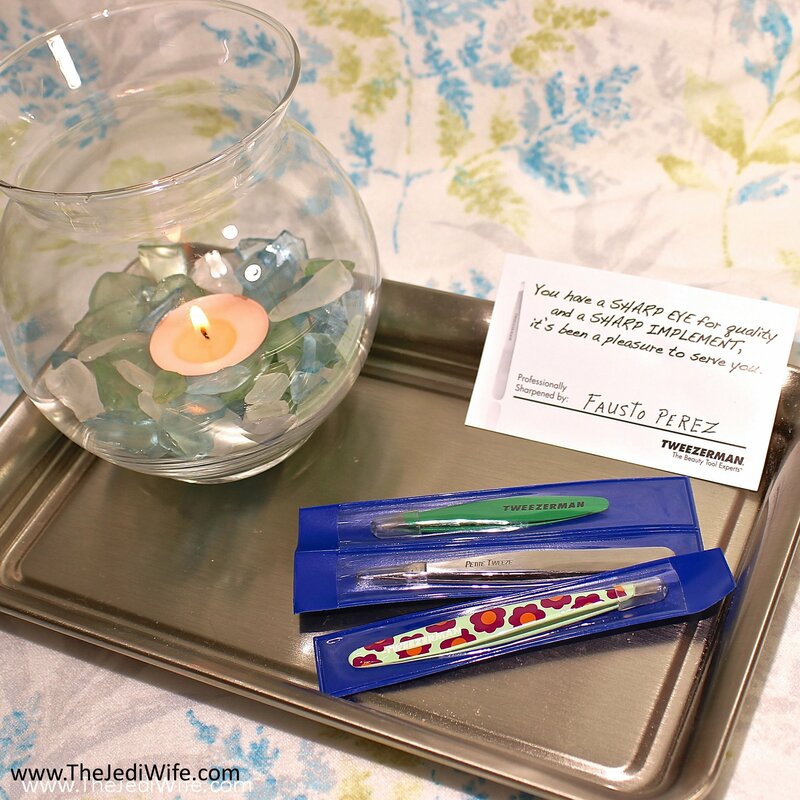 There is also a space to add any special instructions you might have. I'm not really sure what special instructions one might include, but it's nice that there is a space for that should something be needed. My sassy-self had to fight the urge to put in "please don't stab yourself with tweezers", but my sense of humor seems to be going unappreciated lately so I opted to leave it blank. At least I'm pretty sure I did anyway, but since I wasn't planning to write this post, I'm not 100% sure on that. If anyone from Tweezerman happens to be reading this and knows otherwise *waves* Hi, yeah, I'm not that funny, I know. Thankfully I have no plans to make a career in comedy. 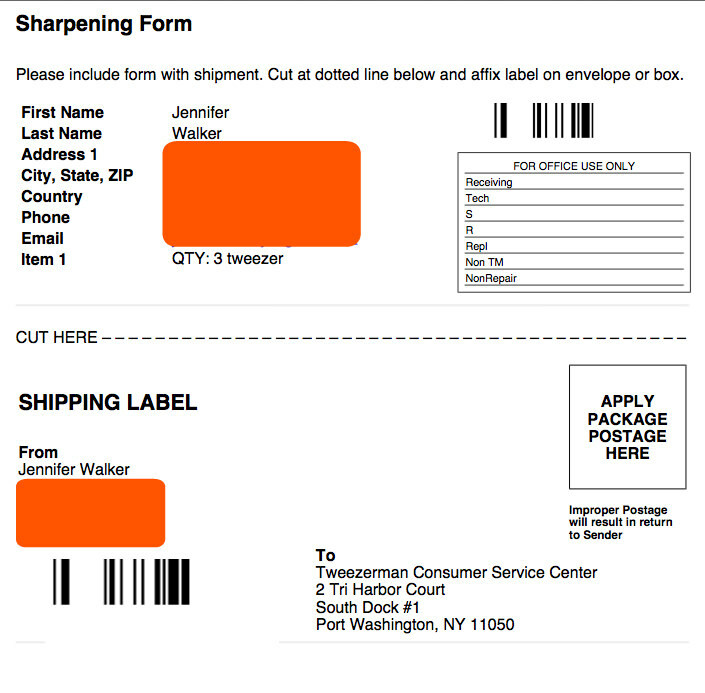 There is also an area where you select whether or not you want unsharpenable implements sent back to you or have the device kept by Tweezerman and you would receive a 50% off coupon in return. I did not take a "before" photo of my tweezers, but in my non-sharpening professional opinion, I felt that two of the tweezers could easily be sharpened. The third pair, my straight pointed tweezers, had a slight bend at the tip after use from some unknown nefarious means. While I wasn't sure this particular pair could be sharpened, I figured it was worth a shot to send it out and worst case scenario, I was able to save money on a replacement pair. 2. I loathe going to the post office. These facts are important here for this post because Tweezerman is not responsible for the loss of any implements not sent in insured packaging. Rather than affixing the shipping label to a package, go into the post office, and purchase shipping to include insurance, I opted to just shove the entire form into a small flat rate box and purchase and print out a USPS label myself with PayPal shipping. I then had my awesome postal delivery guy pick up the box without having to get out of my pajamas step outside the house. The USPS flat rate box automatically comes with up to $50 worth of insurance, which is what I would have purchased anyway with shipping my three pairs of tweezers. While it's a little on the lower side of the value of Tweezerman tweezers, I felt that was a fair value given their age and the less-than-ideal condition of my straight tweezers. I also felt better knowing they were contained in a box and less likely to stab a USPS worker or Tweezerman employee should they pierce through a less secure bubble mailer. 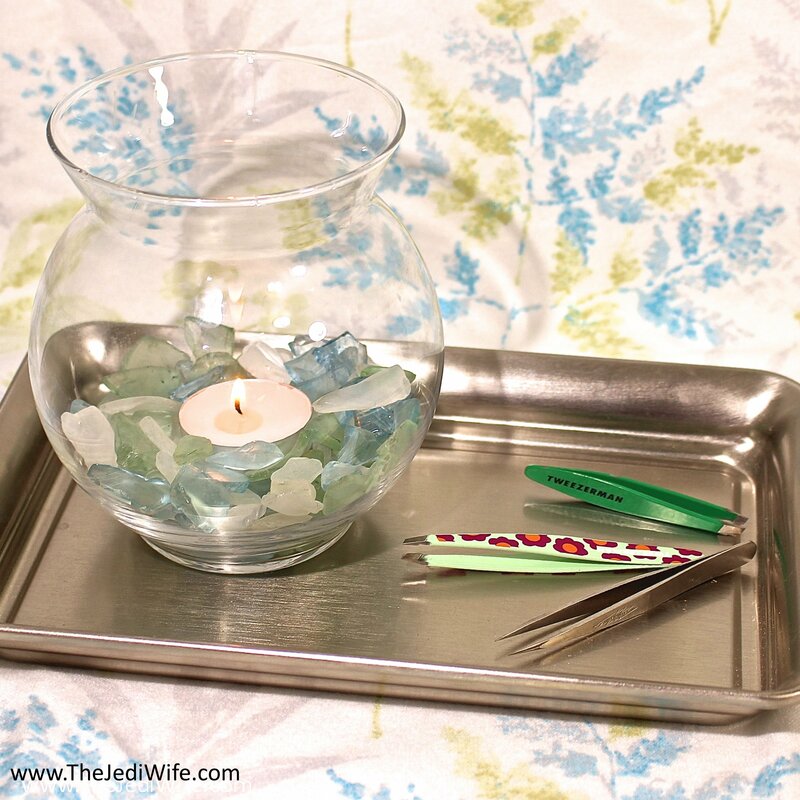 Once my tweezers were out of my hands and on the way to Tweezerman sharpening headquarters, I had nothing left to do but wait the four-to-six week lead time noted on all sharpening orders. Naturally, I ended up at Target to pick up another pair of Tweezerman tweezers I could use while I waited. My eyebrows get scary when left to their own devices, and I did not want to impart that sight onto the world! Three business days after USPS picked up my package for shipment, I received an email from Tweezerman verifying they had received my implements. I was starting to get a little antsy when the six week lead time had past without word, but one day shy of seven weeks I received another email from Tweezerman stating that my implements where ready to be shipped back to me. There was no additional information included with this email, and since it was a generic email, I wasn't sure if I would be receiving one, two, three, or even any of my implements back in the mail. As I mentioned previously, I was reasonably sure I would be getting two of them back with my straight tweezers being the wild card. I didn't have to wait long to find out as four days later, my package arrived in the mail containing all three of the tweezers I had sent out. Tweezerman returned my tweezers to me in a padded mailer with a note card stating that my tweezers were sharpened by Fausto Perez. While I had wrapped them in bubble wrap and tossed them in a box (the paranoia of someone stabbing themselves with the straight ones in particular was very high), they were returned to me in their own little plastic blue sleeves. Each of my tweezers also had a little plastic tip placed on them. These little plugs did make retrieving them out of the sleeves a little difficult, so you'll either have to cut open the sleeves or use another pair of tweezers to pull them out if you plan to use the sleeves for storage in the future. It is far from a deal-breaker for me, but I still wanted to mention it should someone be interested in this little tidbit. At the end of the day, I had a great experience with getting my tweezers sharpened by Tweezerman. They made the process easy and straightforward, and I really appreciated getting email confirmation that they had received them from me and again to let me know they were on the way. It may have taken me fifteen years to actually get to this point, and I am happy to report it was overall a great experience. My tweezers were returned to me sharp and ready for precise plucking action. Thank you to Fausto Perez and Tweezerman for taking such great care of my essential beauty tools! 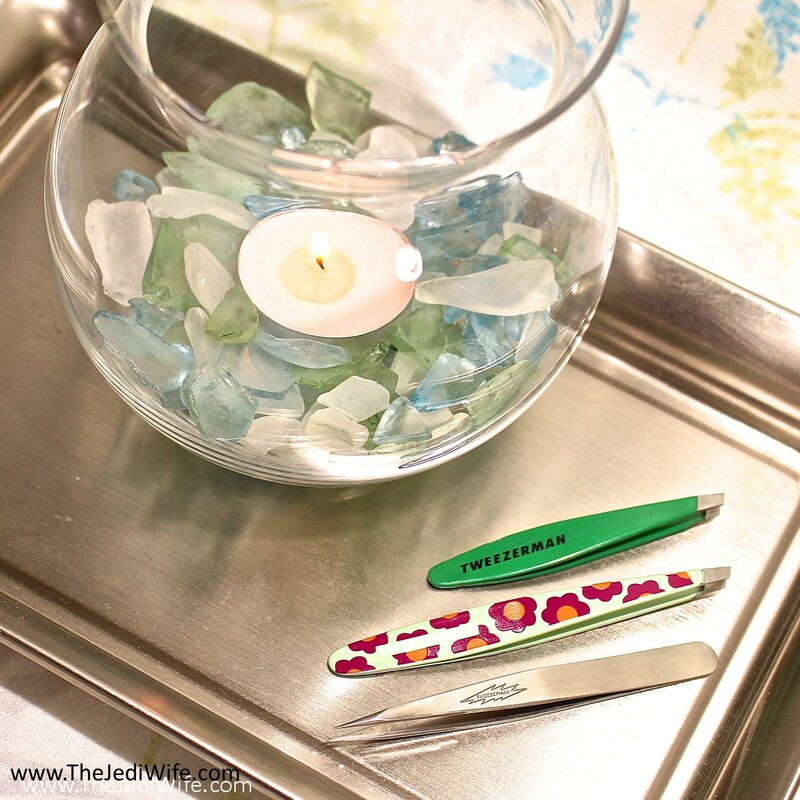 If you have your own tweezers or other Tweezerman implements sitting around needing a little tlc, I wouldn't hesitate to ship them off to get them sharpened. Just remember to have a backup pair on hand while you wait! I thought you had to have proof of ownership or something ... or that it could only be sharpened within x amount of time. I have a pair that seriously need to be sharpened so this is so awesome! I had no idea they offered this service, but for the price I can’t say I’m that surprised. I would probably stagger sendthem, 7 weeks without my tweezers would drive me crazy. I've sent them back but not in a long long time. I never found that they were quite as good when they returned but since I have a stash of tweezers it was nice to have them fixed. Mostly though I'll drop them on the tile floor and bend the tip and then the garbage pail has a new pal. I did not know this at all!! I adore the super cute flower set you have! I don't own tweezerman tweezers! I might need to get some just for the free sharpening! I have a couple Tweezermans that needs to be re-sharpened but I keep putting it off. I had no idea tweezers in general could be re-sharpened. :)))))))) You're funny! I'd see you in standup! It's good to know it went so well and no one got stabbed to death. I think you should send Fausto Perez a note of gratitude. Thank you for taking the plunge for the rest of us who weren't ever brave enough to send our tweezers in.